Sophisticated Duplex in the heart of Grand Blvd. If you and yours have that laid-back, quiet, convenient lifestyle, this is the home for you. Directions: Grand Blvd. 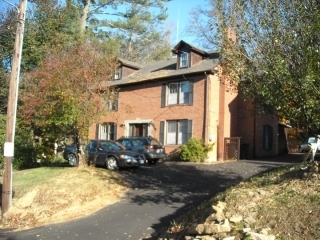 is located between the Jones House and the Daniel Boone Condos next to the Mast General Store in Downtown Boone. Just go up Grand and continue bearing to the right. 417 will be on your left, then 482 on the right, 510 on the right, 600 and 610 on the right. Being minutes from ASU and downtown, this unit is great for the serious student or professional. Very sensitive neighborhood offers a quiet professional environment. Being minutes from ASU and downtown, this unit is great for the serious student. Contrary to the dark pictures, this is a nice, bright unit. 610 Grand Blvd. — located in the heart of town, walking distance to the University and downtown — make this Quadraplex a natural for the convenience-seeking student. White walls and ALL UTILITIES INCLUDED except phone and cable. Low-key environment with a nostalgia (a member of the Allman Bros. once jammed here!). These go quick! Large unit on Grand Blvd., 2 blocks to campus. 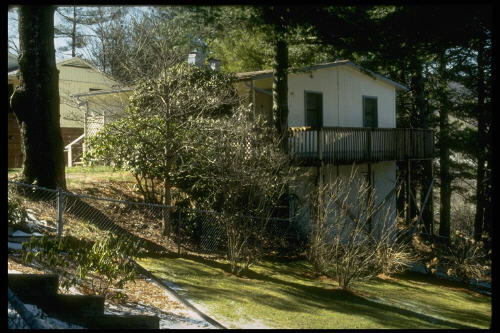 Unit offers a rustic, homey appeal with ALL UTILITIES INCLUDED except phone and cable.